Dance addiction... from Baryshnikov to Dance Moms - Colette Freedman is a top Hollywood Script Doctor who has also ghost written several novels. 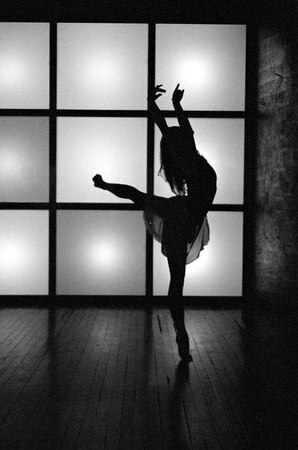 I’m addicted to dance. I can’t do it, but I love it. I love to watch it. I admire the way that it’s portrayed in movies and television, both scripted and reality. From Ann Bancroft and Shirley MacLaine’s bitchy competition in The Turning Point to my all time favorite dance film– All That Jazz, dance films simply make me happy. Watching lithe bodies doing what I am completely incapable of… it’s inspiring. Growing up on the television show FAME, I used to hang on to every word as Debbie Allen’s Lydia Grant challenged her students, “You’ve got big dreams? You want fame? Well, fame costs. And right here is where you start paying … in sweat.” Currently, Debbie is often a guest judge on my favorite reality dance show SO YOU THINK YOU CAN DANCE, better known to diehards like me as SYTYCD. I dare anyone whose watched that show not to fall in love with Mia Michael’s choreography. It’s genius. I’ve watched, countless times, Mikhail Baryshnikov and Gregory Hines’s equally captivating and contrasting dance styles in White Nights. I’m obsessed with the opening dance number in West Side Story, I love love love Gene Kelly’s classic romp with a lamppost in Singin’ in the Rain. I admit, I actually have “dance” as a keyword in my tivo. With the baseball World Series fast approaching, there will be millions…perhaps billions of die hard fans glued to their televisions watching men in cleats battle it out for the title. Not me. Not interested. I’d rather see athletes in ballet shoes in a far more entertaining event. One of my favorites– Amanda Schull rocking out a modern ballet routine to Michael Jackson’s “The Way You Make Me Feel” in Center Stage. When it comes to appreciating dance, I rarely discriminate, I even have a soft spot for Abby Lee Miller’s Dance Moms. What can I say… I’m addicted!